GDPR Compliance GDPR Compliance Yes I consent to have my information stored by Cerise Fine Catering for the purposes of communicating with me. United Way Toronto & York Region recently hosted its annual Celebration Gala for the 2nd year in a row at Beanfield Centre. Like last year the food provided by Cerise was exception as was the service provided by Doris Bertrand and her team. It’s amazing that Cerise can serve 1500+ meals of such quality and perfect temperature in such little time. Great venue with exceptional customer service. We recently held a 1,000 person gala dinner. The guests raved about the food. Portion sizes were appropriate, food was piping hot and cooked to perfection. Many commented that it was the best food they had had at a gala. Most impressive was their ability to accommodate a wide variety of dietary restrictions without compromising quality. Service was great and the event managers that we worked with were amazing. We will certainly be looking to book future events with them. My organization worked with Cerise to cater our annual Chinese New Year benefit gala. We had almost 1100 guests at the Allstream Centre (now Beanfield Centre) for our black-tie event, and the pass-around hors d’oeuvres and the 4-course gala menu were immensely successful. Our main contact, Doris, worked tirelessly to ensure our event went smoothly, particularly with all of the catering details. 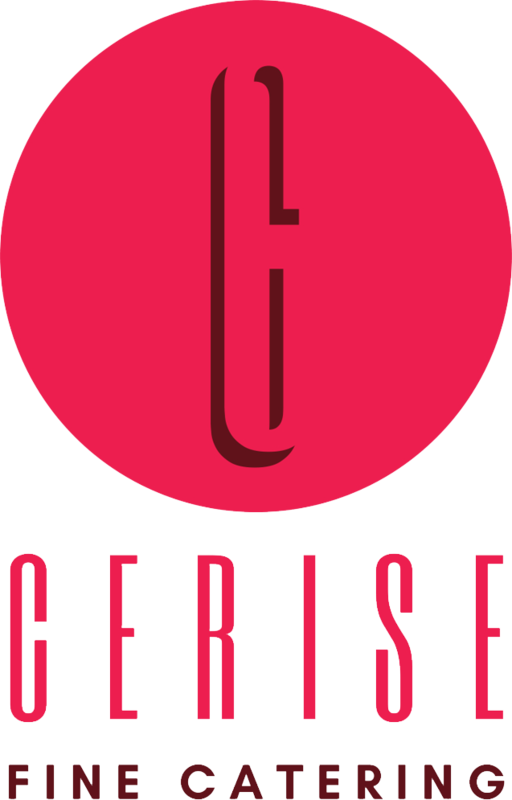 While no event runs without any hiccups, we can say with certainty that the entire team at Cerise performed wonderfully and professionally. Many thanks to Doris and her capable team at Cerise! I’m afraid I have been remiss in being the grateful guest in your outstanding facility. I should have replied earlier, but time seems to slip away. From all reports I’ve received so far, our gathering although smaller than hoped had a fantastic time. The venue was outstanding, the service was impeccable, and the dinner is still receiving kudos from all. The desert in the white chocolate cup has everyone talking. There are plans to conduct some kitchen espionage to discover the recipe. I can’t thank you enough for helping, and I would say, going above and beyond to ensure the success of our evening. I would like to take this opportunity to express my gratitude for all your assistance. Last’s night event would have not been a success without you and the entire Allstream staff. Please extend my appreciation to, Sonia, Kathy and Ana Laura’s team. Great Job done by all. The reviews regarding how exceptional and impressive the food was along with the professionalism displayed by all service staff confirms, Allstream was the perfect choice. Special thanks also to Hank and the Stage vision crew. They are a knowledgeable set of individuals who were always willing to assist the DJ. Deborah, words honestly cannot express how thankful I am, to had been partnered with you. It was an honor. Your guidance, patience and resourcefulness is why you are a perfect fit for your role. P.S. thank you for the beautiful baskets for the draw. Nancy and Doralice were such great help while planning the event and during the event. They were patient and very accommodating. The venue was clean, the set-up was done according to pre-event plans, and everything was set and ready. The chefs came to our home and provided a private in home dining experience. The dinner was fantastic!! When I walked in the door the chefs were busy at work preparing dinner, the table was set and the house smelled amazing. What a joy! Our guests had a lovely time and I truly enjoyed being able to relax and spend time with them without having to worry about getting food out, clearing dishes away or cleaning up. It was wonderful. On top of that the chef prepared an absolutely delicious meal. Our friends are still talking about it. The staff at Allstream and Cerise catering are such a pleasure to work with and make event planning easy. The facilities are very clean, modern and accessible. The food is always different, plentiful and delicious. Anytime we book an event here, we know it will be a success! The venue is clean, bright and has modern look which all delegates appreciated. The food provided was received very well. The staff was very friendly, flexible and accommodating in all areas. They were ready to react to any last minute change without any issues. The SmartGrid Canada board of directors and the attendees have been so impressed with Allstream Centre’s facility and service. The food has also been amazing. With your help we have been successful in laying the foundation for future conferences. Finally, the Toronto Real Estate Board selects a great venue for our annual general meeting. What a great building, bright, spacious and a great breakfast and good selection of wraps for lunch. Thanks for the tour and I will be sure to reccommend the Allstream as a venue. Every little detail was covered, the staff worked at lightning speed, efficiently, effectively and with great courtesy. Everyone was in awe of the modern enhancements, the seamless audio visual, the simple elegance. Allstream lived up to its growing reputation as one of Toronto’s finest venues.